"The Riverside Palace of Gondal is a magnificent structure where you will get the taste of a royal splendor, making it one of the best heritage properties in Gujarat. 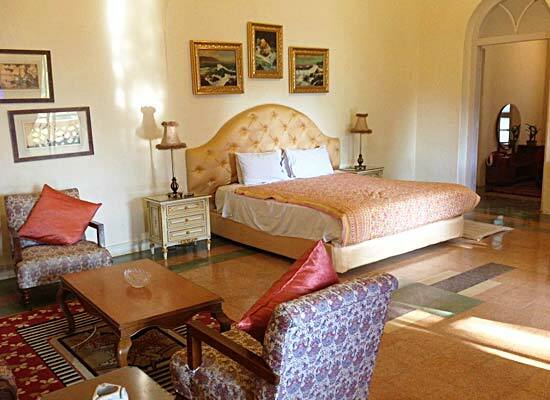 Constructed in the 1880s as the residence of the then Crown Prince of Gondal, this property is known for offering royal hospitality services clubbed with contemporary conveniences. Spread in a lush lawn, this palace is built alongside the town's river and offers lovely views. The guest rooms feature antique furniture and a warm decor. The food served at the on-site restaurant is scrumptious. 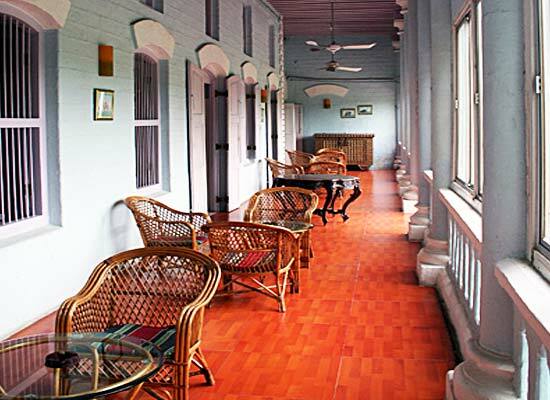 Riverside Palace/Orchard Palace at Gondal is one of the most guest-friendly hotels in Gujarat. Staying at this European style mansion will surely be a great experience for you. 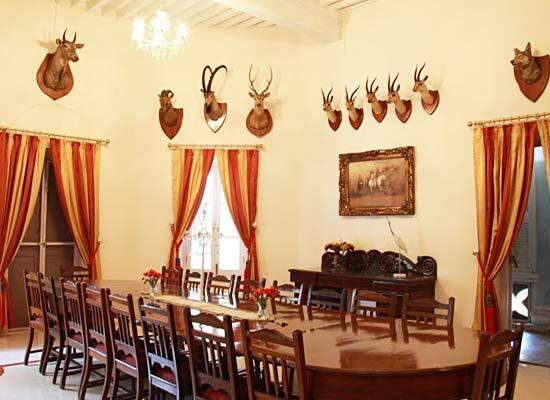 Moreover, you will also get the opportunity to stay at a place which once used to be the residence of Gondal Yuvraj. The quality facilities offered by the hotel will make you feel someone special. 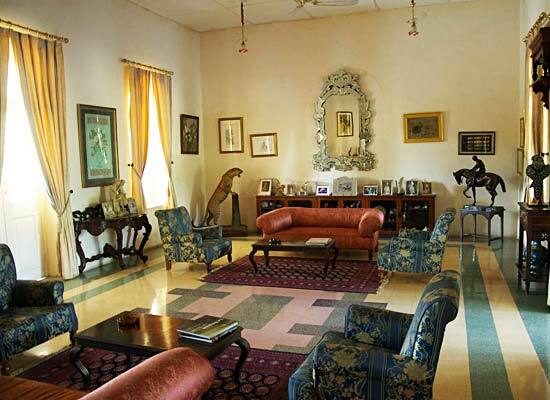 Decorated with ornate furniture and a number of items of the bygone era, it will also let you experience the grandeur of the royal era. 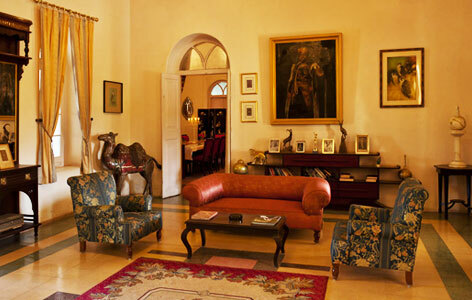 Add to this the presence of large sized bathrooms and the beautiful pieces of textiles and antiques. It will be truly be a memorable experience for you. Dining at Riverside Palace/Orchard Palace will also give an idea about the grandeur and splendor of the Royal era. The western and Indian dishes served at the hotel restaurant satisfy the varied food habits of the guests. It also serves a number of local dishes thus giving you taste of the regional specialties. Gondal is one of the most important cities in Gujarat. Located only 40 kilometers from the Rajkot and very well connected with railway station and airport, the place offers great connectivity to the outside world. It also has Ahmedabad’s International Airport within 250 kilometers. Its well connectivity to a number of important places makes it an important place for business travelers. Presence of a number of tourist attractions in close proximity to the place also makes it a popular place for tourists. As a matter of fact, the historic city of Junagadh is only 60 kilometers from Gondal and the Buddhist site of Khambalida is only half an hour away from the city.